Andy Weir’s novel “The Martian” is absolutely the best hard science fiction since Allen Steele’s “Orbital Decay” over 25 years ago. I have almost given up on science fiction, which to me has meant what is normally called “hard” sci-fi, where the technology is a central part of the story. Stories like Star Trek to me are hard sci-fi as the exploits of Scotty, Geordi, Tucker, or B’elanna Torres and other crew persons are central parts of resolving most crises in the televised episodes. Most written science fiction recently has a veneer of science that is no more than an alternate setting for whatever human or alien conflict is the subject of the book. Avatar, Alien, and absurd movies like Independence Day, are examples of that genre. The Martian is a great example of how technology and human ingenuity are intricately interwoven in the story and how together they weave an exciting tale of accomplishment, overcoming obstacles, and the triumph of survival against daunting odds. Without giving away spoilers the story of Mark Watney begins with him being left on the surface of Mars through a very believable series of events. A crucial element of the story relates to the mission architecture that presumably a NASA led international team had chosen for Mars exploration. It is a 100% believable scenario that has much in line with many people’s thinking about how to actually conduct sortie based Mars missions. Sorties are where each new mission lands in a completely different area of Mars in a manner similar to yet far more advanced than the six Apollo lunar landing missions of the 1960’s. Mark Watney’s inventory of things to work with during his ordeal is also 100% believable and in line with what has been laid out in NASA’s plans for Mars missions. The technical presentation is not perfect, and should not be expected to though a few nits annoyed me greatly in reading the book. Watney talks about solar cells when he means panels. Another contrivance is his problem with the primary communications system that drives a lot of the early story. However, these are minor and the general reader or even most technically knowledgeable ones can forgive these errors. There are several extremely clever ways that Mark Watney gets around problems or comes up with inventive ways to use the resources at his disposal in unexpected ways. There are also some exceptionally minor, but to those of us who know the hardware of Mars missions, exceptionally accurate details of certain bits of hardware that he uses in his survival epic. The biological aspects of his survival are clever as well and how he extends his food supplies. His eventual salvation (to use a word that gives away the minimum of the story) is also exceptionally clever as is the response of his crew mates to the situation. 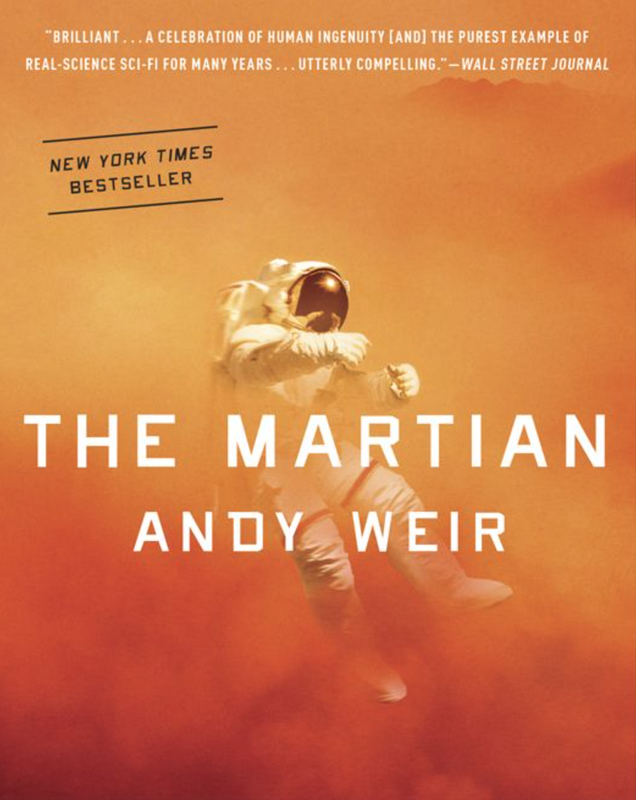 Andy Weir has written a marvelous story that is being turned into a movie that will star Matt Damon. Note to Matt and the director, fall in love with the hardware, just as Watney did and you will make a great movie! I read this book in one six hour sitting, it was that hard to put down. Good job Andy! Concur this is a great book. Looking forward to the Ridley Scott movie of it with Matt Damon later this year. For science in a sci-fi book, I liked Building Harlequin’s Moon (the plot was okay). So many sci-fi books have things like floating cars or faster than light travel, but forget about nano-tech and life extension, which can really have a bigger effect on society.